Rapid Home Inspections is off and running! Just wanted to take this opportunity and say if you or anyone you know is looking for a home inspection, I would love the opportunity to help! As most of you know, I have over 13 years of experience in the construction field and have built over 23 homes. I also have commercial building experience constructing and managing My other Businesses . Becoming a Home Inspector just seemed like the next step for me. Building relationships and having happy customers is my new year’s resolution! Rapid Home Inspections is located in Wayne County Michigan. Servering Southeast Michigan. Now you can put my outstanding reputation for service and reliability to work for you. 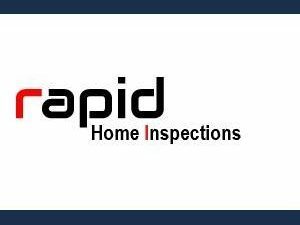 By using Rapid Home Inspections, you benefit from an experienced inspector that delivers reports that meet or exceed the state standards. I also encourage your presence during the inspection. By being present at the inspection, I can familiarize you with the home and explain things to you as we move through the house. I am trained to be familiar with a wide variety of situations. I believe that consumers have the right to expect the highest standards of thoroughness, fairness and effectiveness from their home inspector.